This resistance could complicate attempts to use CRISPR-Cas9 in the fight against malaria—a deadly mosquito-borne disease that threatens over 3 billion people worldwide—or crop blights such as the western corn rootworm, an invasive species that costs the U.S. about $1 billion in lost crops each year. The discovery of the CRISPR-Cas9 system—or simply "CRISPR"—in the early 2010s introduced an unprecedented level of accuracy in genetic editing. Scientists can use the method to design highly precise genetic "scissors" that snip out and replace specific parts of the genome with sequences of their choosing. Two English scientists were the first to show the method could spread infertility in disease-carrying mosquitoes in late 2015. "We found that small genetic variation within species—as well as many insects' tendency to inbreed—can seriously impact the effectiveness of attempts to reduce their numbers using CRISPR technology," said Michael J. Wade, Distinguished Professor of Biology at IU Bloomington. "Although rare, these naturally occurring genetic variants resistant to CRISPR are enough to halt attempts at population control using genetic technology, quickly returning wild populations to their earlier, 'pre-CRISPR' numbers." This means costly and time-consuming efforts to introduce genes that could control insect populations—such as a trait that causes female mosquitoes to lay fewer eggs—would disappear in a few months. This is because male mosquitoes—used to transmit new genes since they don't bite—only live about 10 days. The protective effect of naturally occurring genetic variation is strong enough to overcome the use of "gene drives" based on CRISPR-based technology—unless a gene drive is matched to the genetic background of a specific target population, Wade added. Gene drives refer to genes that spread at a rate of nearly 90 percent—significantly higher than the normal 50 percent chance of inherence that occurs in sexually reproducing organisms. Wade, an expert in "selfish genes" that function similarly to gene drives due to their "super-Darwinian" ability to rapidly spread throughout a population, teamed up with colleagues at IU—including Gabriel E. Zentner, an expert in CRISPR-based genetic tools and assistant professor in the Department of Biology—to explore the effectiveness of CRISPR-based population control in flour beetles, a species estimated to destroy 20 percent of the world's grain after harvest. 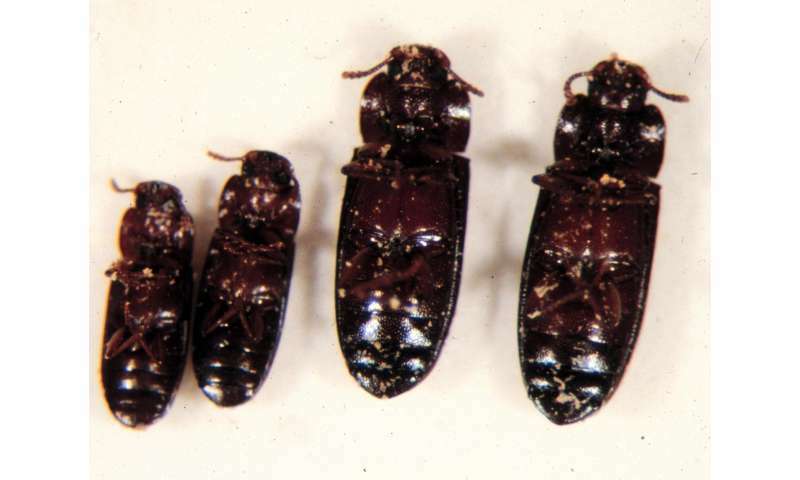 The analysis revealed genetic variation in all four species at nearly every analyzed DNA segment, including a variance rate as high as 28 percent in the Peruvian beetles. 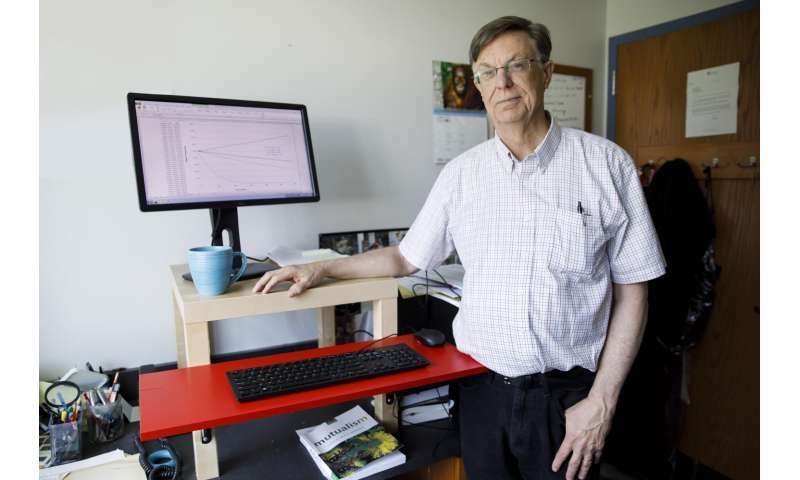 Significantly, Wade's statistical analysis found that a genetic variation rate as low as 1 percent—combined with a rate of inbreeding typical to mosquitos in the wild—was enough to eliminate any CRISPR-based population-control methods in six generations. I imagine a corporation interested in commoditizing this strategy would be thrilled that users have to keep using.